A SpaceX Falcon 9 rocket and its payload – a $195 million Israeli communications satellite – were destroyed in an on-pad explosion on Thursday during what was expected to be a routine ground test of the rocket ahead of a Saturday morning launch. The incident occurred at 9:07 a.m. local time (13:07 UTC) when Falcon 9 was in the final minutes of its countdown to the Static Fire Test – a complete countdown rehearsal and brief ignition of the nine Merlin 1D engines on the booster’s base to collect performance data. 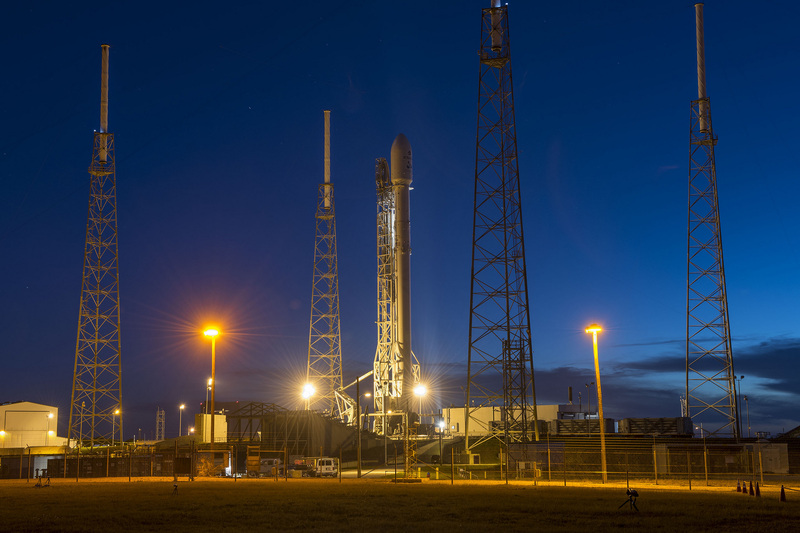 Conflicting reports emerged on where Falcon 9 was in its countdown, but the automatic countdown sequence had already kicked in and the propellant tanks were being topped off with sub-cooled Liquid Oxygen and chilled Rocket Propellant 1. 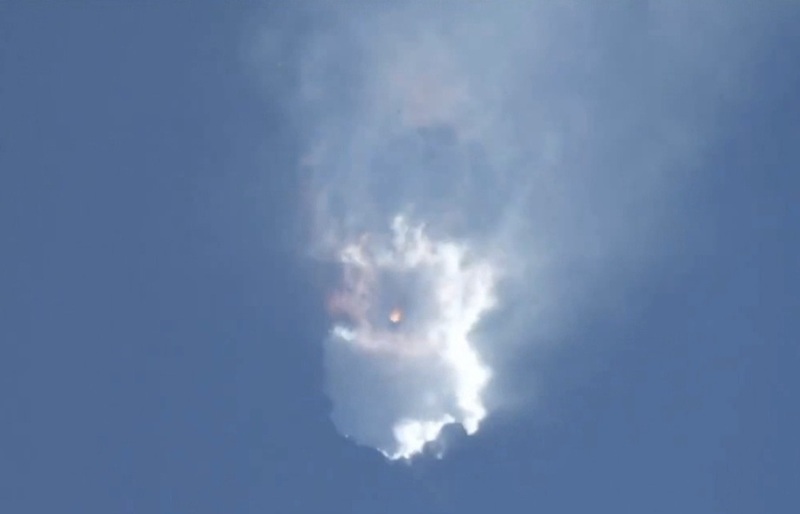 At the time of the mishap, Falcon 9 had close to 500 metric tons of LOX, RP-1, Nitrogen and Helium aboard. SpaceX released a statement confirming ‘an anomaly on the pad’ that resulted in the loss of the 70-meter tall Falcon 9 rocket and the AMOS-6 satellite it was carrying. 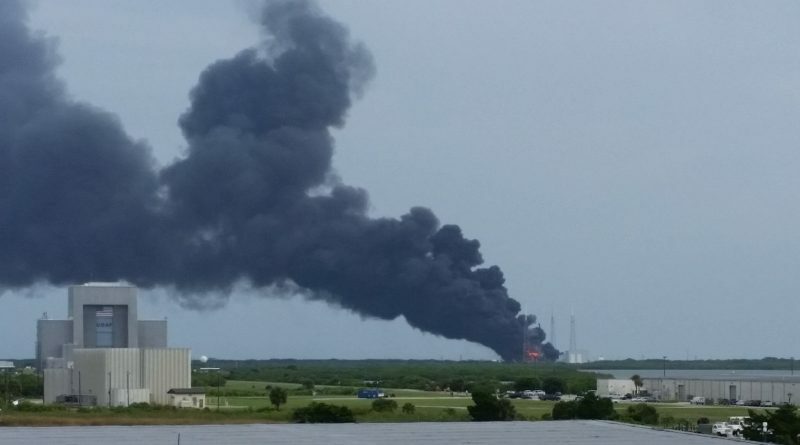 No casualties were reported by either SpaceX or the 45th Space Wing of the U.S. Air Force. Thursday’s mishap marked the second loss of an operational Falcon 9 rocket, the first occurred in June 2015 when an in-flight anomaly related to the second stage claimed the loss of the Dragon SpX-7 spacecraft en-route to the Space Station. Falcon 9, expected to conduct its ninth launch of the year, moved to the launch pad early Thursday in anticipation of its Static Fire Test that was expected to clear the rocket for a 7 UTC liftoff on Saturday, its ninth of the year and the sixth flight to Geostationary Transfer Orbit for Falcon 9 FT. The 2015 launch failure was caused by a mechanical strut breaking within the second stage’s Liquid Oxygen tank, causing a high-pressure Helium tank to break free and release its contents into the tank – leading to an overpressurization and the loss of structural integrity of the rocket. Corrective measures were taken to avoid a recurrence of this failure scenario, but any possible connection will be scrutinized as part of the failure investigation. 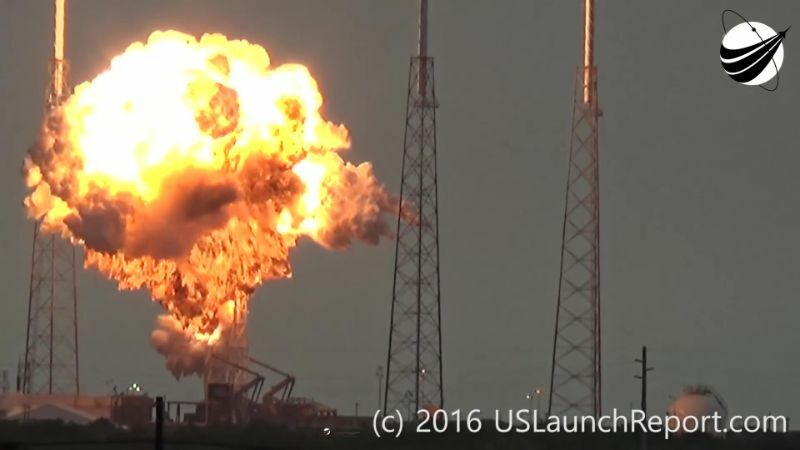 Witnesses reported buildings shook as far as five Kilometers from Space Launch Complex 40 and windows were broken in the closer vicinity of the launch pad. According to reports coming via Social Media, the powerful explosion was followed by a number of secondary blasts over the course of several minutes. Helicopters were dispatched to SLC-40 to provide an initial aerial assessment and reported that the launch pad’s fire suppression system was working and dousing the flames. At least three spot fires in the vicinity of the complex were caused by fiery debris from the launcher. 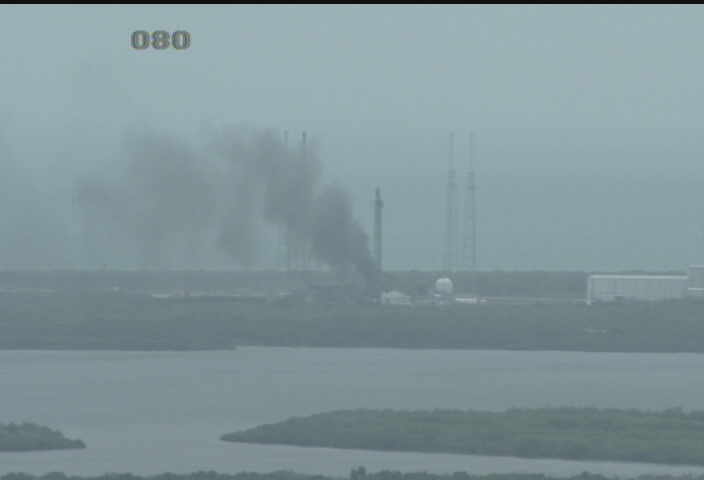 Black smoke was seen rising from the launch pad for at least three hours following the event. The on-scene response near SLC-40 was handled by the CCAFS Emergency Management and road-blocks were set up around the affected area. 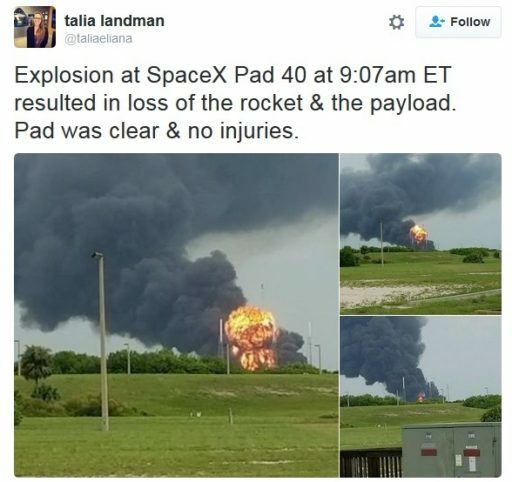 At the Kennedy Space Center, north of SLC-40, personnel was evacuated from the SpaceX-controlled Launch Pad 39A and an inspection for any debris from the rocket was conducted around both LC-39 pads. Though no toxic substances were detected at either pad, it was reported that debris had made it all the way to the LC-39 area. SLC-41, much closer to the neighboring SLC-40, currently hosts the Atlas V 411 rocket set to bring NASA’s OSIRIS-REx asteroid explorer to space next week. Atlas V was protected inside its Vehicle Integration Facility and word from NASA is that the Falcon 9 mishap was not expected to have any impact on the mission. SpaceX employs an unparalleled testing regiment – putting each engine through a hot fire before being integrated on the rocket stages which is then followed by a test of the assembled booster stage at the McGregor facility in Texas. The rocket fires up again for the Static Fire Test at the launch site before being cleared for liftoff. F9-029 had its first stage test in early August, firing for around one minute in Texas before being shipped to Cape Canaveral for final assembly which comprises the mating of the stages, the installation of the landing legs and the attachment of the payload. Whether the payload is installed for the Static Fire test depends on a number of factors as SpaceX has conducted the test with or without the satellite being present. It had been reported that it is a customer decision on whether the satellite is in place for the test, also considering the timeline of launch preparations as additional time between the Static Fire and launch would be needed if the satellite is to be mated after the test. 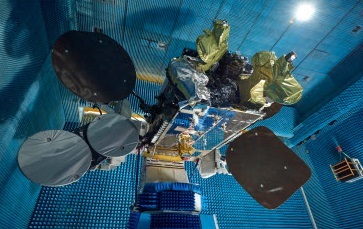 AMOS-6 was built by Aerospace Industries for operation by Israeli telecommunications provider Spacecom as part of the AMOS series of “Affordable Modular Optimized Satellites.” The satellite, weighing in at 5,250 Kilograms, carried a payload comprised of 39-Ku and 24 Ka-Band segments to deliver three Ku-Band beams covering the Middle East, Central Eastern Europe and a Pan-European band, and 36 Ka-Band spot beams focused on Sub-Saharan Africa and Europe. A part of the satellite’s payload was leased over a five-year contract to Eutelsat and Facebook to deliver a throughput of 18 gigabits per second for broadband internet services in the developing world. 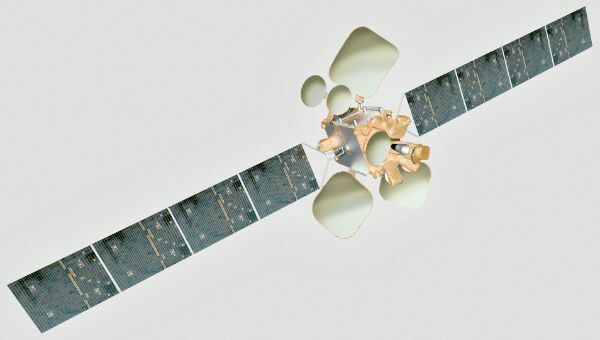 The loss of AMOS-6 is a severe blow to communications provider Spacecom as the company had recently announced it has been sold for $ $285 million to Beijing Xinwei Technology Group in a deal contingent on the capacity of the AMOS-6 satellite. Spacecom stock prices started dropping as soon as the first reports of an explosion at Cape Canaveral emerged. Satellite communications provider Iridium that was next on the SpaceX manifest after this launch also suffered stock price losses in excess of 5% since the company is counting on SpaceX to deploy their next-generation satellite constellation prior to the end of 2017. For SpaceX, Thursday’s mishap marks the start of what could be a lengthy process of returning its Falcon 9 and Florida launch pad to service. Analyzing data gathered during the ill-fated countdown and studying what’s left of the rocket and its ground systems will reveal the root cause of Thursday’s test failure. The investigation will be conducted by SpaceX alone, but the company will likely invite the Federal Aviation Administration to have full access to the company’s findings to support the certification for the Return to Flight effort. SpaceX’s customers including NASA will also receive regular updates into SpaceX’s findings before Falcon 9 will make its return to the launch pad. The stand-down of Falcon 9 launches from Florida will also depend on how fast SLC-40 can return to service. Extensive ground systems damage is to be expected after what witnesses described as a powerful blast and a long-lasting fire that followed. Another option for SpaceX would be to accelerate work at LC-39A to have it available in case Falcon 9 can fly again before its primary Cape Canaveral pad is repaired. Thursday’s failure occurred at the most inopportune time for SpaceX as the company was hoping for a strong closing of 2016 with nine more missions that had been scheduled before the end of the year (including AMOS-6). 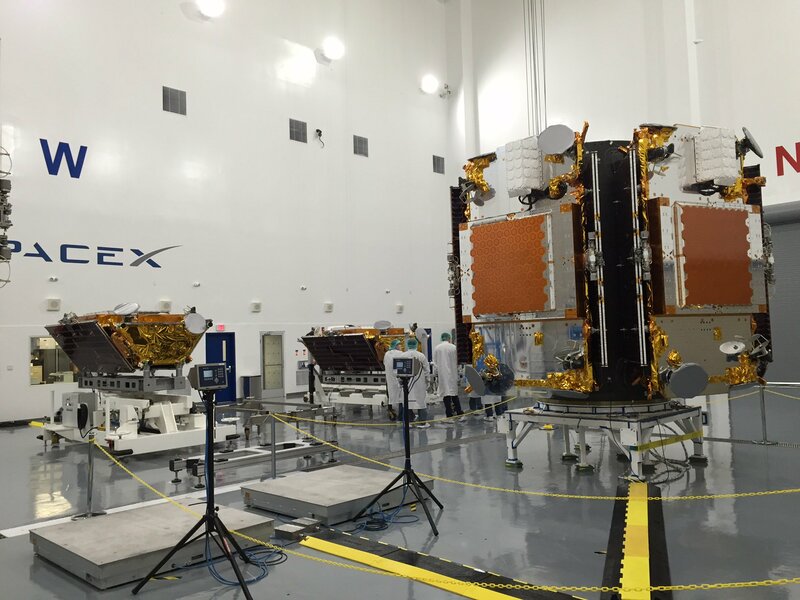 SpaceX was planning to launch a Falcon 9 from its West Coast Pad on September 20 carrying ten Iridium-NEXT satellites. This launch was to be followed by the next batch of ten satellites before the end of the year with another five launches scheduled in 2017. Satellite operator SES announced earlier this week that it had chosen to be the first customer to launch its SES-10 satellite on a flown Falcon 9 rocket in the fourth quarter and the company was also hoping to get SES-11 off the ground on Falcon 9 in 2016. Other customers on the Falcon 9 2016 manifest include EchoStar, KT Corporation and Taiwan’s Space Program Office. 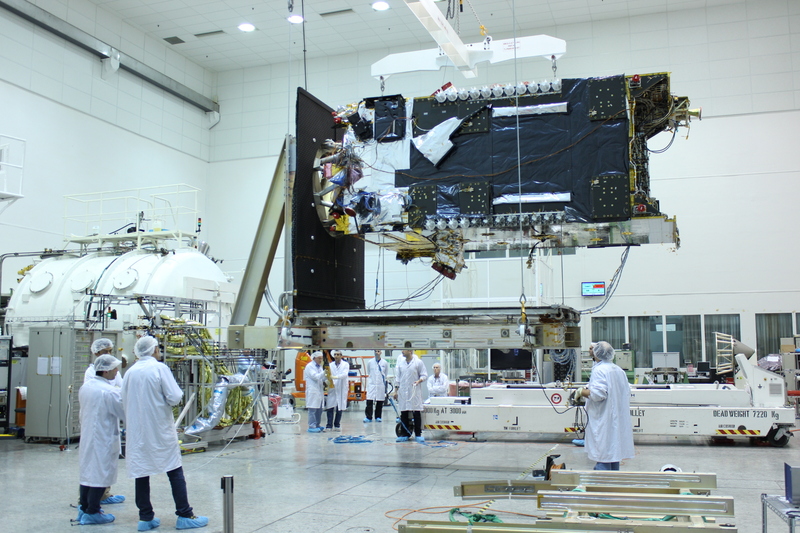 A number of small satellite operators had spacecraft scheduled for flight on Spaceflight Industries’ first Sherpa mission, hosting nearly 90 payloads. NASA had a single Dragon resupply mission on the books for the remainder of 2016, penciled in for launch in November to deliver cargo to the International Space Station. The Station’s cargo schedule had recently been complicated by the push of the Return to Flight mission of Orbital ATK’s Antares rocket that is now looking at a late September launch date and Japan’s H-II Transfer Vehicle which has slipped from an October liftoff to a December target. Should the recovery from Thursday’s accident require an extended period of time, SpaceX may also be looking at delays in its Commercial Crew efforts with the first uncrewed test flight of the Dragon 2 craft planned for May 2017 followed later in the year by a crewed mission. 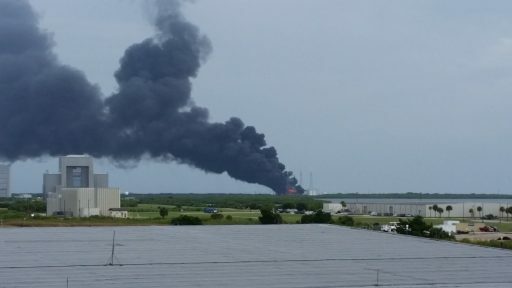 SpaceX can confirm that in preparation for today’s static fire, there was an anomaly on the pad resulting in the loss of the vehicle and its payload. Per standard procedure, the pad was clear and there were no injuries. 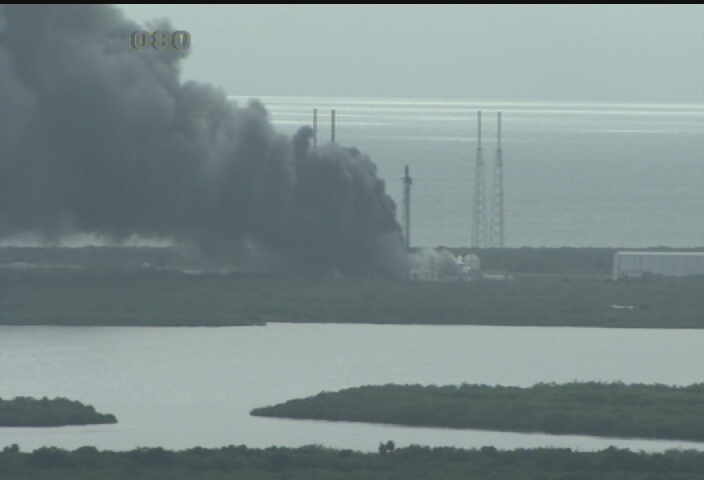 At approximately 9:07 a.m. this morning an explosion occurred at launch complex 40 on Cape Canaveral Air Force Station. Initial reports indicated that there were no casualties and has been no threat to public safety. CCAFS Emergency Management is providing the initial on-scene response. Roadblocks will be set up in and around CCAFS, so we ask that you avoid the entrance to the Air Force Station until further notice. We will provide updates as they become available. Copyright © 2019 Falcon 9 – AMOS 6 | Spaceflight101. All rights reserved.